Maryanne was a health care professional, yet made conscious choices that she knew were unhealthy. Like many, she said Yes when she should have said No; allowing primal drives to make choices that trump knowledge. So, what’s going on? First, Maryanne’s behavior was driven by physiological hunger, she had to eat. Second, she was at an energetic low, so severely stressed out that emotion trumped reason. To take better care of herself, to make healthier choices, required energy she did not have. 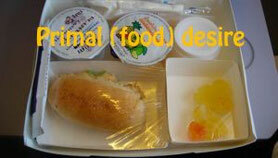 Choosing to eat what was available was the path of least resistance. Further, the sugar in the cookies provided more than just quick energy. It was comforting, filling an emotional need. The cookies reminded her of Grandmother serving cookies and milk; they were good memories; and Maryann needed that sense of love and comfort. Maryanne is an amalgam of clients I have seen. Intelligent, knowledgeable people who gobble a whole tub of ice cream or indulge in candy bars just to cope with stress. Though for some it is just as likely cigarettes, alcohol or drugs. At that instant they don’t think; they simply want a little respite from negative feelings, if only for an instant. It becomes a reluctant choice to accept the negative consequences they know must follow. They comfort themselves that the behavior is temporary, “I will do better tomorrow;” there is always tomorrow, but tomorrow never comes. That is what allows a little lie (acceptable in the short term) to gradually morph into a habit, and the habit to become a standard of behavior. In other words, the lie grows so big that it becomes a lifestyle. Maryann’s lifestyle can be easily characterized as a daily cycle of stress and poor food choices. Proceeding from low energy, it is a downward spiral that leads people like Maryann down the road to obesity and metabolic illness. The algorithm of stress, bad choices, denial and repetition is a well-established journey to premature death through what is called metabolic syndrome. 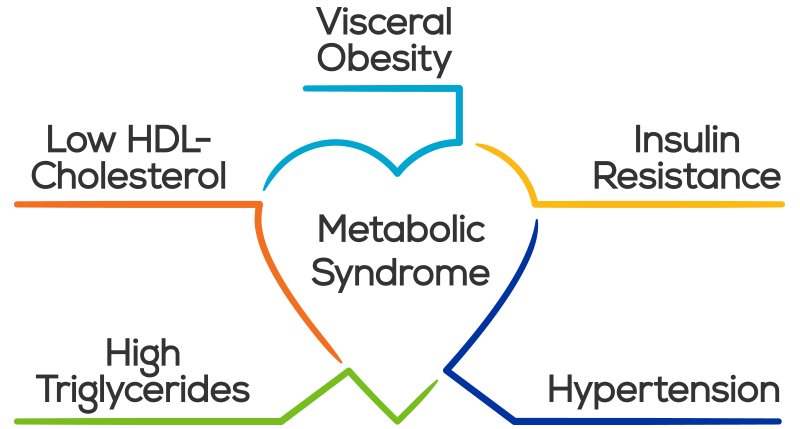 In short, metabolic syndrome describes a symphony of symptoms. Your body experiences a malfunction in one area that brings about problems in other areas, until a critical mass of dysfunctions sets off alarms (more serious symptoms) that can no longer be ignored. Maintaining the original algorithm becomes too costly, in terms of money, time, pain or even life and death. Maryann is on a downward cycle that goes like this. Work stressors raise the cortisol levels in her body. The combination of poor eating and high stress compromises her sleep. Low physical activity, high stress, and disruptive sleep lead to weight gain, elevated blood lipids, and high blood pressure; a recipe that will take Maryann into insulin resistance, ending eventually in Type II diabetes. Fast forward a few years, complications from the diabetes, hypertension and hyperlipidemia (high cholesterol) contribute to cardiovascular disease, kidney failure and stroke. We consider these to be the normal consequences of aging. Indeed, such disease conditions take years to develop. As Maryann gains weight, she replaces her wardrobe with roomier clothing. A heavier body slows her down and makes physical activity increasingly uncomfortable, so she finds ways to avoid it. It is a process of adding layers of unhealthiness to her life because, assuming her problems to be simply age-related, she continuously adapts. And she is not alone. As each medical problem is diagnosed, her doctor prescribes medication to take care of it. Negative side effects are countered with further medication.